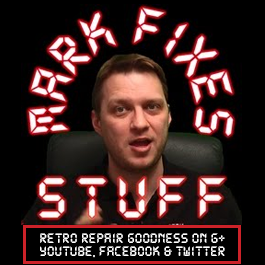 In this episode, a very angry Mark fixes a dodgy Sinclair Spectrum Plus keyboard membrane after an ebay seller pretty much lied to him. GRRRRRRRRR!!!! Much fist shaking in this video, as well as a new piece of outro music by Sheet Metal, featuring Mark on vocals! How to test a 7805 regulator in a ZX Spectrum with a cheap multimeter – MFS Quicktip!